The end of the 2016/17 season is almost upon us. Aside from the play-offs, the EFL season ended earlier today as the Championship became the final division to complete its fixtures. With safety secured last week, I made the decision to head up to Norfolk to watch QPR take on Norwich City in a game that was of little consequence to either team. I hadn't been to the city itself for about 30 years and had never been to a game there which is surprising given how easy it is to get to from London. With direct trains from Liverpool Street leaving regularly and taking two hours and the ground pretty much next to the station, it really is a good place to consider visiting if you're looking for somewhere new or your London match options aren't great. It was also a chance to catch up with my oldest friend who moved to the area about 10 years ago. I'd kept in touch throughout that time but we hadn't seen each other at all so it was kind of strange meeting up again. Thankfully, we both looked pretty much the same and the conversation flowed with ease had it always had. In the intervening years marriages and children had materialised and we'd both mellowed but essentially we were still the same. Anyway, enough about my boring personal stuff and onto the action. Carrow Road is a fine ground in a good location with a capacity of around 30,000 and it was largely full for this end of season send off. Sadly, from my perspective, QPR appeared to have ended their season last week as Norwich ran riot in the opening stages with one shot being cleared off the line, another saved and another hitting the bar all in what seemed like the first five minutes! The only surprise about Norwich's deflected opening goal was that it took over 20 minutes to come - they should have been out of sight by then. It looked as if that profligacy might cost them when Rangers had a shot tipped onto the woodwork in the dying seconds of the half as it stayed 1-0 at the interval. The second half seemed more open as substitutions shook things up a bit but ultimately it was the hosts who were far more clinical as they eased away to a 4-0 win which flattered QPR - it could easily have been double. With seven defeats from their final eight games, Ian Holloway's side finished 18th just two points above the relegation zone. His overall win record in recent years with Crystal Palace, Millwall and now QPR is pretty poor and many fans are tonight calling for his head on forums all over the internet. I have to say I wouldn't miss him if he did go but I am, perhaps rashly, prepared to give him the benefit of the doubt. Elsewhere in the division, from a London perspective, Fulham made it into the play-offs and have what is effectively a derby against Reading in the semi-finals. Also on Sunday, Millwall secured a place in the League One play-off final at Wembley with a thrilling 3-2 win at Scunthorpe. Sadly for Dagenham & Redbridge, Forest Green Rovers got the better of them in the National League play-offs and in the National League South both Dartford and Hampton & Richmond Borough bowed out at the semi-final stage too. 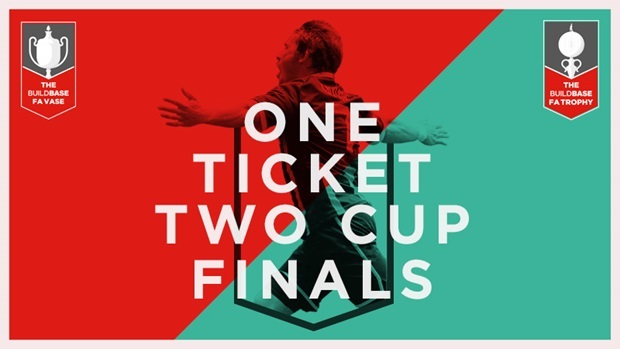 Less than 2 weeks to go until Non-League Finals Day - get your tickets now!!! I heard reports from readers that the charity match between Peckham Town and Somaliland on Saturday went well with over £600 being raised. This Saturday at 230pm, Peckham's U21 side will be hosting the U18s from QPR in another eye-catching fixture at the Menace Arena so get down to Dulwich Common if that appeals to you. 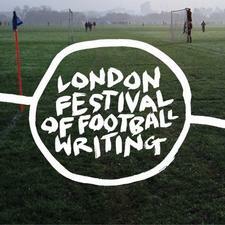 It also came to my attention the other day that the London Festival of Football Writing is coming up next week. Several events with some top authors (including Michael Cox who has been known to peruse these pages) will be taking place at Waterstones bookshop on Tottenham Court Road between 16-20 May. Tickets and full information can be found on their website. I think that's about it from me. Once again, if you're around, please consider coming to Wembley for Non-League Finals Day on 21 May - two cup finals back-to-back for £25 is great value so I hope to see you there. There are only 17 matches in the London area over the next week with some crucial games in the Premier League and some play-off matches in the EFL and National League among the highlights. It should also be noted that the top four levels are for fully professional teams. Level 5 has a mixture of professional and semi-professional teams, while Levels 6-10 will see most players paid but it will vary from no more than travel expenses at the bottom, right up to several hundred pounds a week at the top (e.g. clubs in the National League South). Forest Green Rovers v Tranmere Rovers @3pm - after overcoming Dagenham & Redbridge in the semi-finals, FGR head to Wembley for the second year running as they look to claim a place in the EFL for the very first time. The Gloucestershire club have been among the contenders to go up for several years but always miss out. Tranmere, the former League Cup finalists and second-tier side not that long ago, should provide formidable opposition though and will be expected to bring thousands more spectators. The Merseyside club are also in better form, notably stuffing midtable Solihull Moors 9-0 a month ago!